Many faculty and students from COP traveled to Orlando, Fla., to participate, alongside nearly 6,000 others, in the 2014 American Pharmacists Association Annual Meeting and Exposition March 28-31. At the meeting, the COP chapter of the International Pharmaceutical Students' Federation received the Outstanding IPSF Activity Award. "We were selected because our chapter is the most active nationwide," says Rona Zhou, president of COP's IPSF group. "We sponsor a number of public health campaigns, including HIV/AIDS awareness, tobacco awareness and Pharmabridge, where we collect pharmacy books and send them to pharmacy schools in different countries that need them. We also raise money every year to send students to international conferences. This year, we are sending about 10 students to Japan to learn more about pharmacy there. We do a lot of work at IPSF and we are really honored that we received the Outstanding IPSF Activity Award!" Also at the meeting and exposition, at least 13 PharmD students were scheduled to give presentations: From the Class of 2015: Elena Almada-Quijada, Marc Bingaman, Allison Buhl, Vivian Chyan, Carissa Fernandez, Katy Lee, Annie Nguyen, Matthew Nobel, Pritesh Patel, Megan Shell, Brittany Tse and Kevin Yee. From the Class of 2016: Kaitlyn Skulkan. 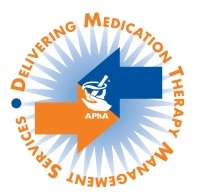 For more information about the meeting and exposition, see the 2014 APhA annual meeting highlights. In a letter to U.S. Department of Health and Human Services Secretary Kathleen Sebelius, a group of pharmacy stakeholders urge delay of implementation and concern over the Centers for Medicare and Medicaid Services' plans to implement revisions to the Medicaid reimbursement methodology. Currently, CMS plans to implement a reimbursement methodology using Average Manufacturer Price-based Federal Upper Limits in July. This payment structure is used when there are multiple sources of the same generic medications available and sets the federally established maximum amount that a state Medicaid agency can reimburse a pharmacy for a particular multiple source drug. The organizations who wrote the letter, including the National Alliance of State Pharmacy Associations, which represents Arizona Pharmacy Association, argue that because CMS is expecting states to adjust both the drug reimbursement and dispensing fees, the current implementation timeline of July is too fast. In order for implementation to occur, some states will have to take legislative or regulatory action, cost-of-dispensing-fee studies, and/or file a State Plan Amendment before implementation can occur. The letter calls for a one-year delay in implementation from the time the states have everything they need for implementation from CMS. The National Prescription Drug Take-Back Day is April 26 from 10 a.m. to 2 p.m. Local law enforcement agencies and the Drug Enforcement Administration will be working together to hold the 8th Drug Take-Back Day. This event will allow citizens to dispose of unwanted, expired, or unused prescription drugs — only pills or patches are accepted. The service is free and anonymous, with no questions asked. The last national event held in October established 4,114 collection sites and received 324 tons of prescription drugs from the community. This initiative addresses both public safety and public health issues. Unused prescription drugs provide an opportunity for diversion, misuse and abuse. Medications in the home are a leading cause of accidental poisonings. Inappropriate disposal of medications in the home may disrupt our water sources or may be diverted. Therefore, proper removal of medications from the home may help to prevent accidental overdoses and abuse of prescription drugs. This National Take-Back event provides a mechanism for patients to safely dispose of medications. The Collection Site Locator can be used to identify a location participating in the Take-Back Event in your area. Having a pharmacist call patients at home to go over their medications can identify many medication-based problems. However, a new study in Health Services Research found that pharmacist-patient telephone consultations only appear to reduce hospitalizations in patients who are least at risk. Healthcare is becoming more complex. This has increased specialization within most professions, and pharmacy is no exception. However, many rank-and-file pharmacists have resisted this idea. So, in fact, have some pharmacy organizations. The thinking is that licensure as a pharmacist is all that is needed to assure the public of high-quality performance. This leads to thinking that a licensed pharmacist is qualified to perform any function that a pharmacist is legally allowed to do. Nearly 70 percent of Americans are on at least one prescription drug and over 50 percent of Americans are on at least two prescription drugs. Given the shaky assumption that these folks are actually taking their medicines, it's fair to say that beyond the physician, the pharmacist plays a key role in the health dynamic. There are some situations for which medical school simply doesn't prepare you. Consider Thanksgiving dinner, when Aunt Myrtle buttonholes you about a recurring rash that's been bothering her. Or the sideline consult that one of the parents at your kid's football game wants to have, right after her son lands awkwardly trying to catch a pass. There was a time when most people knew their corner pharmacist, and visits to the drugstore included personal conversations to catch up on neighborhood and news, besides the dispensing of medications. 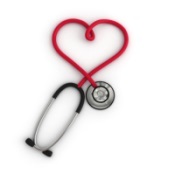 That comfortable, personal relationship and knowledge of a patient's health history has disappeared in recent decades. U.S. Health and Human Services Secretary Kathleen Sebelius is stepping down from her position, after overseeing the troubled rollout of the contentious health reform law, known as the Affordable Care Act, that remains unpopular with some Americans and virtually all Republican lawmakers. Looking for similar articles? Search here, keyword SEBELIUS. Patients in the WellTransitions program, in which pharmacists help patients transition from hospital to home, were 46 percent less likely to experience an unplanned hospital readmission within 30 days of discharge. When I started in pharmacy in 1975, doctors could check a box on the prescription that said "do not label," and we would not be allowed to tell the patient what was in the bottle. Stroke patients managed by a pharmacist had a 12.5 percent improvement in blood pressure and low-density lipoprotein, or "bad" cholesterol levels compared with a control group, according to a clinical trial published in Canadian Medical Association Journal. Almost half of teenagers who had recurring headaches were prescribed opioid painkillers, with those who received care in emergency departments even more likely to receive the drugs, a new study finds. Hospital leaders looking to build a successful pharmacist-coordinated discharge process could do a lot worse than to consider the examples of veterans who presented "best practices" for the discipline at the fall leadership and December meetings of the American Society of Health-System Pharmacists.